Unpaid Overtime? So File a Lawsuit – Just Do It. If indeed that proves to be the case. This week, a California overtime and labor law class action lawsuit was certified against Nike. The complaint is brought by employees who worked at Nike’s Gilroy store in California, who alleged the company failed to pay employees for the time they spent going through security inspection or bag checks at the end of every work shift. 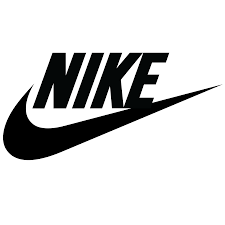 According to the Nike lawsuit, Isaac Rodriguez is suing for himself and on behalf of a putative class of all current and former non-exempt retail store employees of defendant Nike Retail Services, Inc. (Nike) who worked in California during the period from February 25, 2010 to the present. It is estimated that the class may consist of as many as 6,000 people who worked in 31 stores over the requested five-year period from February 25, 2010 to the present. No Car Rental Returns? Here’s a crafty one. According to a couple of folks who rented cars from Regency Car Rentals and Hertz, they are owed their security deposits. Neither car rental agency has returned them, claiming charges against those deposits, so a consumer fraud class action has been filed. Here’s the back story: filed by Nishil Patel and Gurraj Singh, the Hertz lawsuit asserts that in November 2015, Mr. Patel rented a vehicle from Regency for a two-day period. His Visa card was charged for the full amount of $3,254.25, while his American Express Card was charged $3,299.40 as a deposit, the lawsuit states. He alleges he was told it would be refunded upon return of the vehicle. He alleges that Regency assessed two unauthorized charges after the rental. Similarly, Mr. Singh asserts that he also was assessed unauthorized charges against his security deposit, such that his security deposit was not refunded to his credit card. As a direct result, the plaintiffs and other class members allegedly have suffered injury, and have lost money or property. The plaintiffs hold Regency Car Rentals LLC, Hertz Global Holdings Inc. and The Hertz Corp. responsible because the defendants allegedly deceived consumers by making false statements, misrepresented the cost of the rental of vehicles, double-billed and assessed unauthorized fees to consumers. Whoa! The case is US District Court for the Central District of California case number 2:16-cv-05967. Meanwhile, in Canada…a $12 million settlement has been finalized in an unpaid overtime class action lawsuit pending against BMO Nesbitt Burns Inc, a Canadian finance company. Filed in 2010, the lawsuit was certified as a class action in 2013. The settlement ends six years of litigation involving some 1,800 investment advisers who worked for Nesbitt between 2002 and 2016. As part of the Nesbitt Burns settlement, Nesbitt will pay lead plaintiff Yegal Rosen, who worked as a Nesbitt investment adviser from 2002 to 2006, a $10,000 honorarium. As part of the settlement, $6.5 million is allocated for 705 trainee investment advisers and $1.3 million will go to 1,136 senior advisers. Nesbitt cannot contest any class member’s entitlement to payment, and the amount each member will receive depends on the take-up rate. Bet there’s gonna be some celebrating this weekend. So folks, on that happy note, this week’s a wrap – see you at the bar!! Your Dream Holiday? Or not. According to two women in California—it’s “or not.”. They filed a consumer fraud class action lawsuit against Bluegreen Vacations Unlimited Inc, alleging they sustained financial damages due to misleading information the defendant provided them on purchasing a time-share. According to Kyle Miles and Jasmine Miles, Bluegreen Vacations made several false representations regarding a timeshare contract, including the total cost of the contract. Further, they assert the company promised that they would buy back the contract from the consumers if they were unhappy with the timeshare. I’m guessing that didn’t happen. Kyle and Jasmine Miles seek a trial by jury, restitution, enhanced damages, legal fees and all relief the court deems just. They are represented by attorneys Todd M. Friedman and Adrian R. Bacon of the Law Offices of Todd M. Friedman in Beverly Hills, California. The case is US District Court for the Eastern District of California Case number 1:16-cv-00937-LJO-JLT. Here’s something we’re seeing a lot more of these days, an ERISA (Employee Retirement Income Security Act) class action lawsuit. This one has been filed against Columbia University alleging it breached its obligation under ERISA to prudently invest its employees’ retirement savings. In the Columbia University class complaint alleging one hundred million dollars in damages, Plaintiff Jane Doe, a faculty member at Columbia University and a participant of the University’s retirement plans, sued on behalf of herself and a class of 27,000 current and former Columbia University employees who participated in Columbia University’s retirement plans. The complaint alleges that the University breached its fiduciary duties under ERISA. Columbia University, as well as University Vice President of Human Resources Dianne Kenney, who administers the deficient plans, are named as Defendants. WEN is there a Settlement? 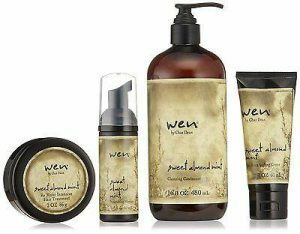 Big news for people who suffered damages from WEN Hair Care Products. A proposed $26,250,000 settlement has finally been reached in the class action lawsuit pending against them. Cast your mind back to December, 2015, when the class action lawsuit was actually filed, naming defendants Wen Hair Products and the manufacturer Guthy-Renker. The lawsuit resulted from thousands of complaints from women alleged severe and possibly permanent hair loss after using the products. Other Wen side effects include rash and burning eyes. So here’s the skinny on the proposed WEN settlement: The settlement class is defined as All purchasers or users of WEN Hair Care Products in the United States or its territories between November 1, 2007 and August 1, 2016, excluding (a) any such person who purchased for resale and not for personal or household use, (b) any such person who signed a release of any Defendant in exchange for consideration, (c) any officers, directors or employees, or immediate family members of the officers, directors or employees, of any Defendant or any entity in which a Defendant has a controlling interest, (d) any legal counsel or employee of legal counsel for any Defendant, and (e) the presiding Judge in the Lawsuit, as well as the Judge’s staff and their immediate family members. The settlement consideration consists of the $26,250,000 (the “Fund”) settlement fund which shall be used to pay for administration and court costs, legal fees, and other related costs, and to pay Class Member claims and provide Incentive Awards to the named plaintiffs. There are two Settlement Classes, namely, Tier 1 and Tier 2. Tier 1 Class-Wide Flat Rate Claims consists of any member of the Settlement Class who purchased Wen Hair Care products and does not timely request to opt-out of the settlement class. They shall be entitled to submit a claim against the Fund for a one-time flat payment of $25 per person as compensation for claims of misrepresentation regarding the qualities and attributes of WEN Hair Care Products, or undocumented claims of bodily injury, including but not limited to hair loss, hair damage, scalp pain or irritation, after using WEN Hair Care Products. Five Million Dollars ($5,000,000) of the Fund shall be set aside to pay Class Members making Tier 1 claims. Tier 2 Documented Adverse Reaction Claims shall consist of any member of the Settlement Class who alleges to have suffered bodily injury, including but not limited to hair loss, hair damage, scalp pain or irritation,as a result of using WEN Hair Care Products, and does not timely request to opt out from the Settlement Class, may make a claim against the Fund for reimbursement of amounts spent to redress such alleged injuries, as well as an injury award designed to compensate the Class Member for any alleged injuries sustained, up to a maximum of $20,000 per Class Member, as set forth below. To make a claim under Tier 2, the Class Member must submit a valid Tier 2 Claim Form and supporting documentation, as set required by the Settlement Agreement. The settlement remains to be approved – but watch this space for updates. So folks, on that happy note—this week’s a wrap. See you at the bar!! Pokemon Go Goes North… way north of acceptable it seems. At least that’s what a couple living in a small town—and I do mean small—179 people—claim in their class action lawsuit against Niantic, the makers of the “game”. The lawsuit has been filed in Calgary, Alberta, on behalf of Barbra-Lyn Schaeffer who lives in Torrington, AB. According to the Canadian Pokemon Go lawsuit, she is suffering as a result of an invasion of privacy, resulting from the game. In the suit, Schaeffer asserts that both herself and her husband have been inundated by Pokemon Go players at their home 160 kilometers northeast of Calgary ever since it became the site of a Pokemon gym. Schaeffer states that people are trying to crawl over the fence and enter their property, and not respecting their privacy. Ok—seriously people? The game, which sends players into the real world to search for digital monsters called Pokemon, uses digital beacons called Pokestops and Pokegyms. Schaeffer claims there are several such Pokestops and Pokegyms in Torrington. This is actually quite creepy. Schaeffer told the Globe and Mail, she sent a request to Niantic asking her home be removed and only received a computer-generated response saying the company would look into it. How helpful—thanks guys. Banner Health not having a Banner Year it Seems. They got hit with a data breach class action lawsuit this week, brought by Howard Chen, MD, who works at Banner Thunderbird Medical Center in Glendale, AZ. The Banner Health lawsuit asserts that Banner, which is based in Phoenix, AZ, was negligent in protecting people’s information, essentially allowing the data breach to occur. Chen is among the whopping 3.7 million patients, health plan members, customers and providers whose personal information may have been compromised in the cyber attack. According to the lawsuit, the hackers gained access to Banner Health computer servers, including those that process payment card information where food and beverages are sold. FYI—this is the largest data breach to date this year. Apparently, as compensation, Banner is offering free credit and identity monitoring to all affected individuals for one year. However, the lawsuit asserts that these steps are not sufficient reparation, because cyber criminals will wait a couple of years to use stolen information, often after monitoring periods expire. Banner Health owns and operates 29 hospitals in seven states including University Medical Center Phoenix, formerly Banner Good Samaritan Medical Center. Synthes Settles… J&J subsidiary, Synthes, has agreed to pony up $5 million in settlement of allegations it’s been sticking it to their employees. The employment class action lawsuit was filed by outside sales reps for Synthes who alleged the company failed to cover business expenses and illegal wage deductions. The back story is that Lead plaintiff Troy Lindell worked for Synthes as an outside sales rep between 1999 and 2011 in Fresno County, CA. According to the complaint, although Synthes pledged to reimburse him for the 200 miles a week he spent on the road and for the office supplies and equipment he needed to do the job, the company failed to live up to that promise. Further, Lindell alleges Synthes cut his wages for failing to provide completed purchase orders or for providing purchase orders with slight errors. Really? Yup—according to the complaint, “His wages were reduced by 50 percent of the cost of the item sold to the medical facility, even though the item had many times already been implanted in a patient.” Lindell also accused Synthes of failing to provide him with a copy of his personnel file despite two requests. According to court documents, the parties signed an agreement August 5 that would see each member of lawsuit’s two classes receive an average payment of more than $14,000. After legal fees and associated costs, the remaining $3.2 million will be split among the 314 members of the two classes in the suit. The settlement still requires final approval. So folks, on that happy note—this week’s a wrap—see you at the bar!! Pokemon Go Hotspot (of sorts)? Here we go—it’s time to play hunt the Pokemon Go class action lawsuit. This one, filed this week, was among the first to get filed, and alleges the maker of the hugely popular game, Niantic, has some rather troubling data requirements that would-be game players must agree to, before being allowed to download the game. To be clear, the proposed unfair business practices class action lawsuit alleges that Niantic’s terms of service contract forces players to provide their personal and private information to the company in order to use the app. Filed by a plaintiff in Florida, the lawsuit asserts that the plaintiff unwittingly granted Niantic, the Pokemon Go Developer, “perpetual” and “irrevocable” expansive rights to, amongst other things, collect his user data, when he began downloading the game. 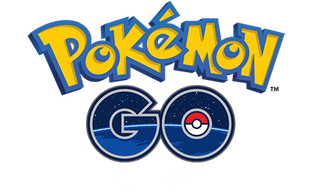 In order to use Pokémon Go, players must agree to the Terms of Service and Niantic creates a user’s Pokémon Go account by allegedly extracting data from the gamer’s Google, Facebook, or other pre-existing third-party account certain personal information. According to the plaintiff, he downloaded Pokémon Go onto his phone and in so doing, unwittingly provided Niantic with his private information under an irrevocable license. The license allegedly gives Niantic the right to retain and share users’ data, including players’ location, recent web history, search terms and user messages, in perpetuity. Consequently, “unsuspecting individuals, including [plaintiff], have downloaded and used ‘Pokémon Go’ … and [have] and will provide Niantic with information,” the lawsuit states. The Pokémon Go Terms of Service Lawsuit is Case No. 50-2016-CA-008330, in the Fifteenth Judicial Circuit for Palm Beach County, Florida. Honda Gets Hit…. with a defective automotive class action lawsuit this week, filed by owners of Acura vehicles. The lawsuit states that the automaker sold vehicles with a battery-draining defect that since at least 2005. According to the allegations, Honda knew all about the issue. No! Here’s the skinny—according to the Honda complaint—the HandsFreeLink™ unit will get stuck in the “on” position, even if the feature is not in use and even after the car’s ignition switch is turned off. Once stuck, the HandsFreeLink™ unit creates a constant drain on the electric system, leading to drained and dead batteries, recurring battery replacement and premature failure of other essential electric components such as alternators. As a result, Acura owners are faced with the choice of disabling the HandsFreeLink™ unit or replacing it at a cost in excess of $1,000, with no guarantee that the replacement will function properly, according to the complaint. Since 2005, Honda has issued internal Technical Service Bulletins, notifying only the dealers about the problem, but offering no meaningful solution, warranty coverage or recall for consumers. The lawsuit also states that Acura owners are not only out the cost of potential replacement. According to the lawsuit filed in the US District Court for the Northern District of California, owners find themselves with cars that are less valuable than comparable cars with properly functioning hands-free systems. The lawsuit seeks reimbursement for vehicle owners related to the defect and an injunctive order to end Honda’s concealment of the defect and denial of warranty coverage for repairs related to the HandsFreeLink™ defect. Shell Gift Cards not so Giving? Shell got nailed for some hanky panky with its gift and fuel rewards cards this week. Santa Cruz District Attorney Jeffrey S. Rosell settled a consumer fraud and false advertising class action lawsuit brought by his office against Equilon Enterprises LLC, dba Shell Oil Products US (“Shell”). The specific allegations were that Shell: (1) failed to adequately disclose that certain advertised discounts for using gift cards and fuel rewards cards could not be combined; (2) advertised discounts on gasoline when purchased by a gift card that Shell knew or should have known were not being honored by all stations; (3) failed to redeem gift cards with balances of less than $10 for cash as required by California law; (4) failed to adequately disclose limitations to Shell’s rewards programs; and (5) falsely advertised that certain gift cards could “be used like cash,” when Shell knew or should have known some stations were charging customers the credit price for gasoline when purchasing with a gift card. The Shell gift card judgment includes an injunction that requires Shell to: implement new technology at stations to address technical limitations that prevented advertised discounts from being combined; more adequately disclose any limitations on advertised discounts; provide increased training materials to help Shell stations address the issues in the complaint; and more prominently notify consumers about their gift card redemption rights and where to call with questions or complaints about Shell gift cards or fuel rewards cards. Under the terms of the stipulated judgment, Shell has agreed to pay $762,500 in civil penalties, costs, and restitution, and to injunctive provisions to ensure future compliance. A task force composed of the Santa Cruz County District Attorney’s Office, along with District Attorneys from Alameda, Monterey, Napa, Sonoma, Santa Clara and Solano counties conducted the investigation and filed the action in Alameda County. Ok, that’s a wrap folks… See you at the Bar!